Poor oral health has been linked with such conditions as cardiovascular disease, respiratory infections, and dementia. 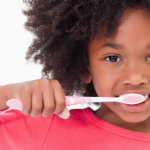 Learn more about the connections between oral health and overall health. Can brushing your teeth help you to prevent a heart attack? Can poor oral health increase the chance of birth defects among pregnant women? Surprisingly, the answer is: yes. 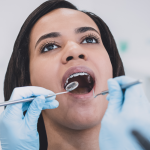 While most people understand the importance of good oral hygiene and dental habits for protecting your teeth, mouth, and gums, there is low public awareness of the important link that exists between oral health and overall health. That’s why on this World Health Day, we want to draw attention to this issue and highlight some of the important links that exist between oral health and various general health conditions. 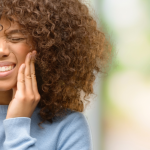 You might find some of these connections especially surprising–and they may make you think twice before neglecting brushing, flossing, and your scheduled visit to the dentist! For World Health Day, we’d like to take a look at the connection between total physical health and dental health. This relationship is a two-way street: good oral health encourages good overall health, and the reverse is also true. For this reason, an assessment of oral health can reveal a great deal about your general health. Oral health has been described as “a portal into the rest of the body”. Symptoms of certain conditions first reveal themselves in the mouth. These include HIV/AIDS and diabetes. According to the Academy of General Dentistry, 90% of diseases produce signs and symptoms in the mouth. Saliva, in particular, is a useful diagnostic tool that can indicate such conditions as stress, bone loss, osteoporosis, and cancer, as well as alerting doctors to the presence of drugs, toxins, hormones, and certain indicator antibodies. 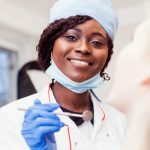 How Does Oral Health Affect Overall Health? Oral health does much more than simply indicate the presence of certain conditions. Good oral health and positive dental habits can help prevent serious health conditions–and, likewise, poor oral health can increase susceptibility to certain diseases and conditions. Bacteria from inflamed gums and periodontal disease can cause hardening of the arteries and increase the development of artery wall plaque. This can result in cardiovascular disease. Inflamed gums and periodontal disease can also cause diabetic complications by making it more difficult to control blood sugar. 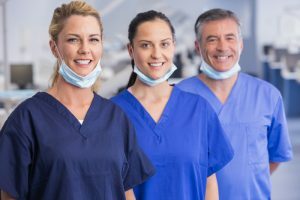 Gum disease can lead to infections in the lungs (including pneumonia); for this reason, poor oral health is a direct cause of respiratory infections. Dementia is another condition that has been linked to oral health. Gingivitis bacteria can enter the brain through the bloodstream or nerve channels, causing dementia or Alzheimer’s. Periodontal disease in pregnant women has been linked with a higher rate of premature births. On World Health Day–and everyday–make choices and develop habits that encourage good overall health. And it’s clear that good general health begins with good oral health. Don’t neglect your dental health: schedule an appointment at Penn Dental Medicine today!